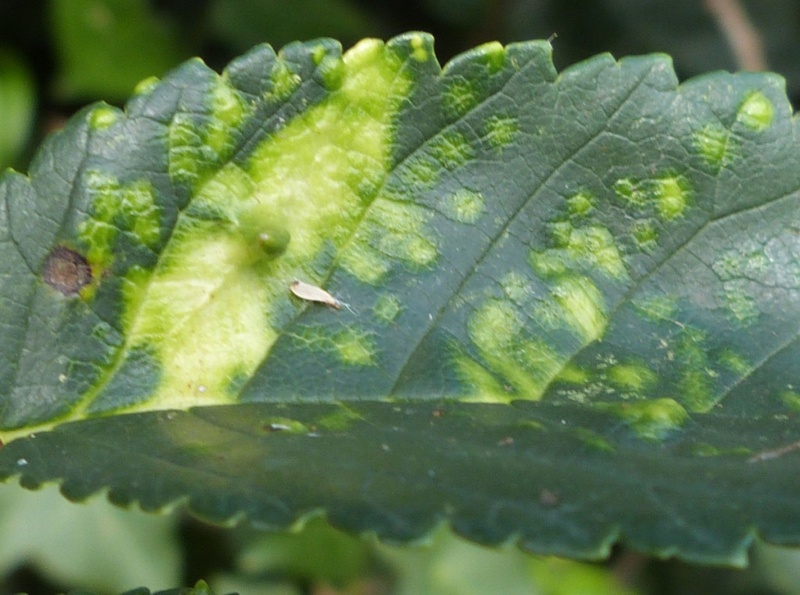 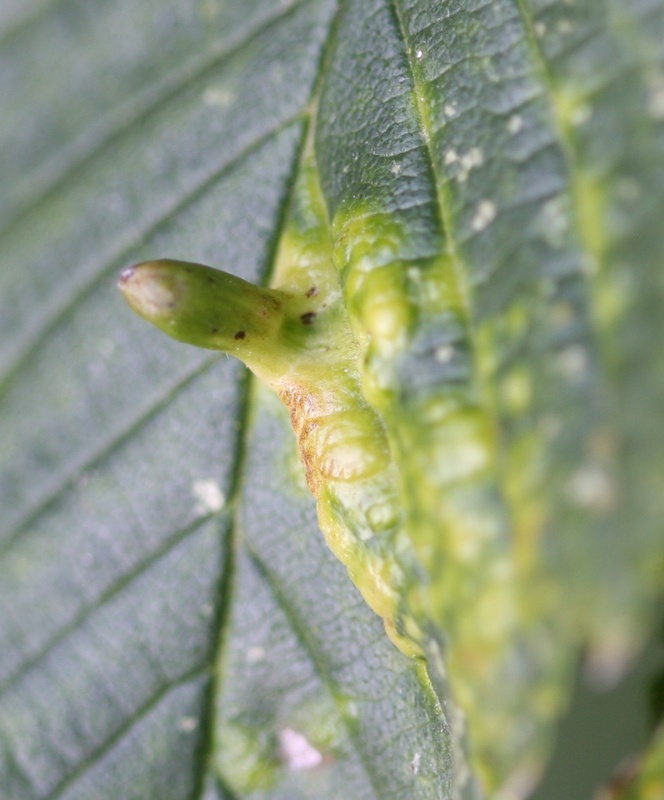 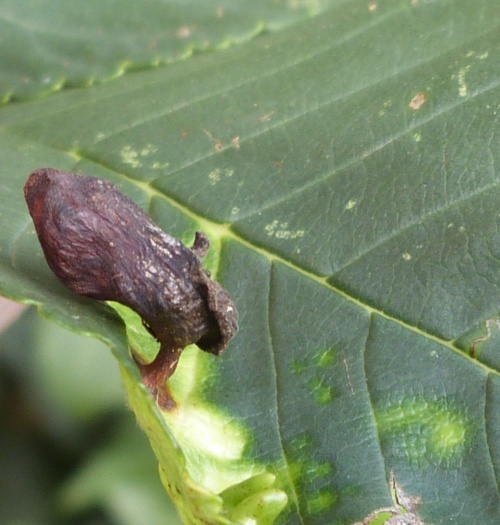 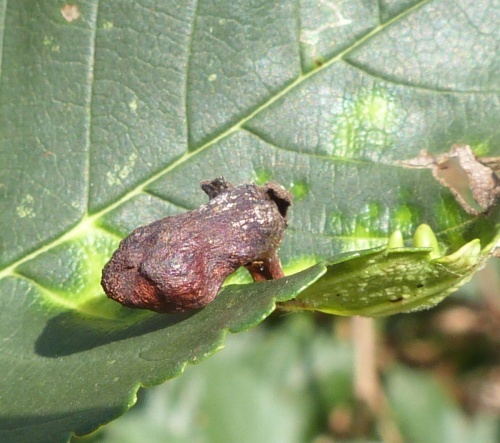 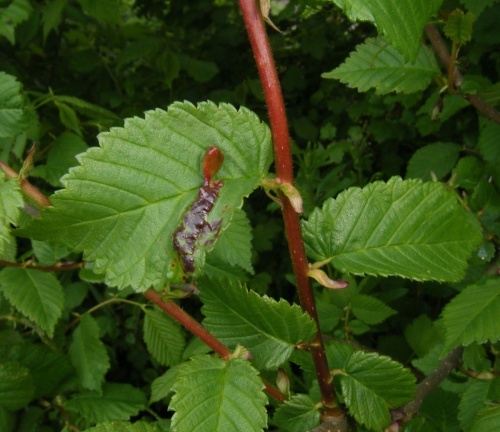 The aphid Tetraneura ulmi causes a fig like gall to be formed on certain species of elm. 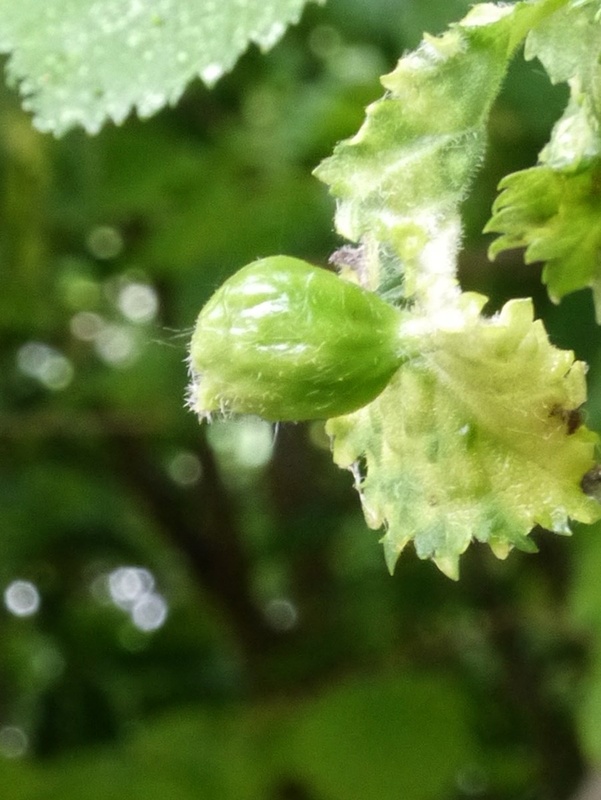 This is a quite large, solitary, upright, pouch like gall on the upper surface of the leaf. 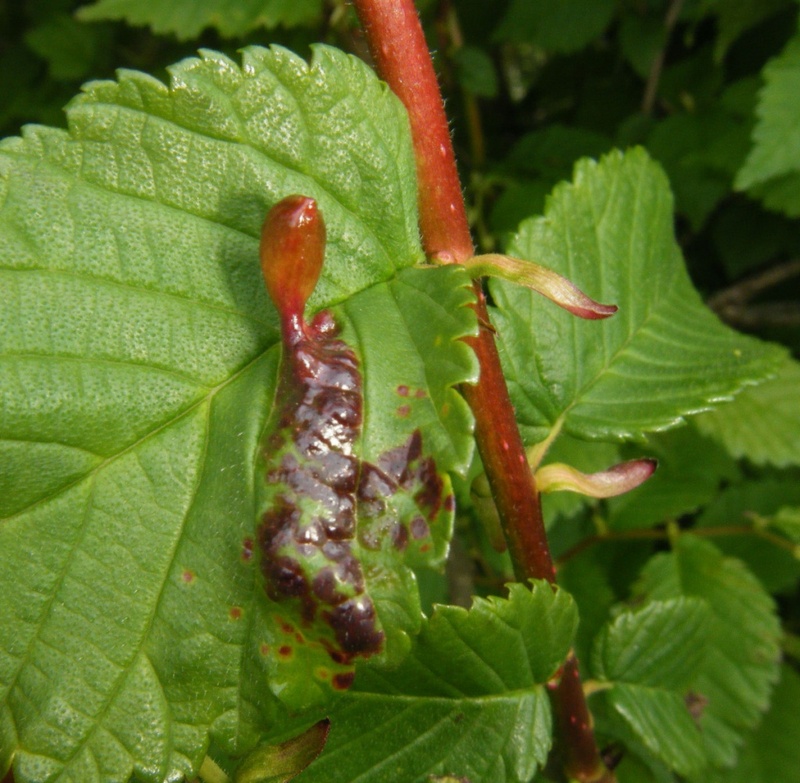 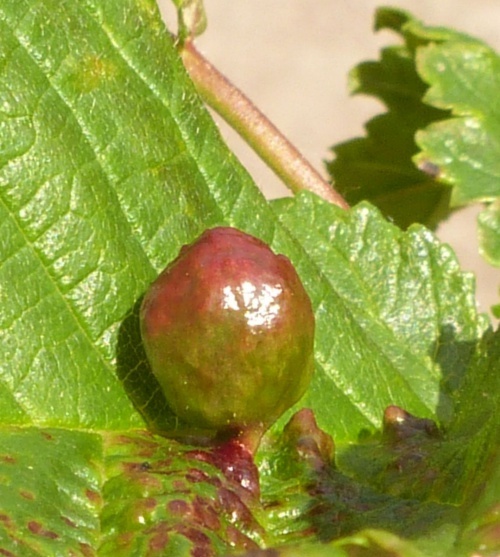 The gall is more often seen than the adult aphid. 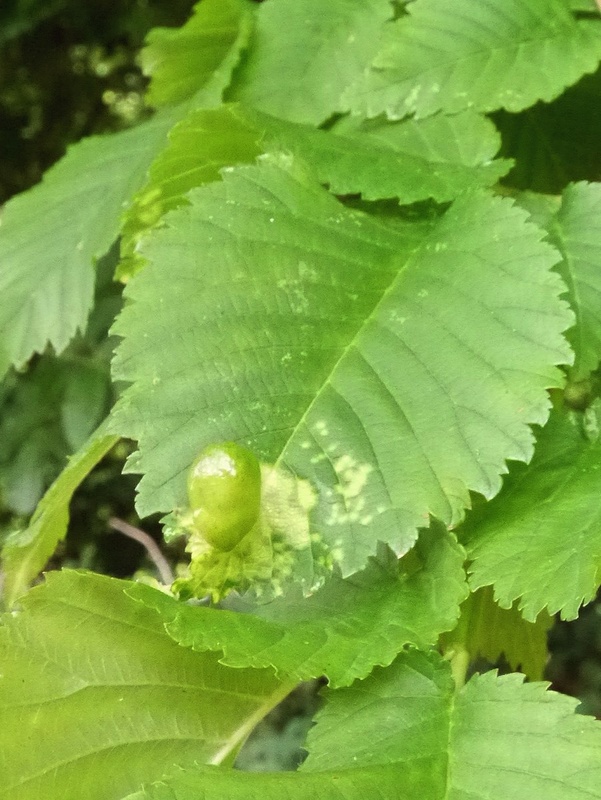 Fairly frequent and widespread in much of Britain.